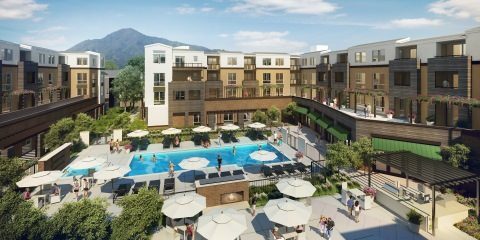 Residential community developed on a highly accessible, former industrial site just north of San Francisco. 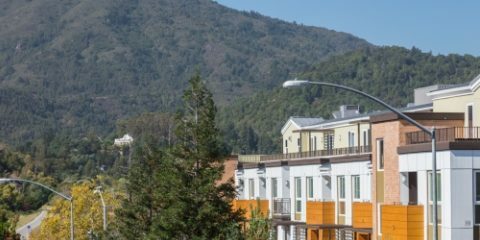 Developed six low-rise residential buildings in Marin County (eight miles north of the Golden Gate Bridge and San Francisco) on a site that served as a Styrofoam-cup manufacturing plant until early 2011. 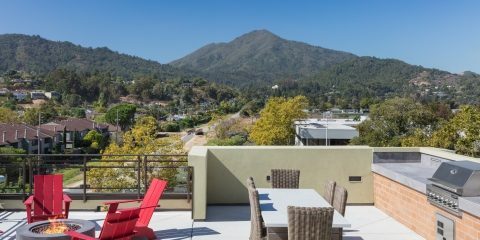 Location offers quick access to Marin’s primary commute corridor (U.S. Highway 101) and is close to both commuter bus and ferry services. 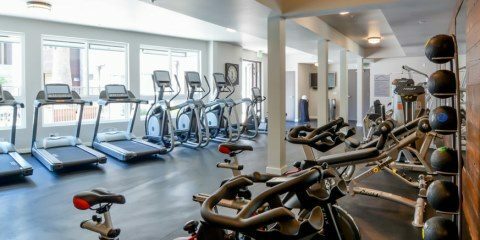 Residents live within walking distance of shops, restaurants and a movie theater in or near two regional shopping centers: Town Center Corte Madera and The Village at Corte Madera. Eighteen apartments (10% of the total to be built) are designated as affordable housing for low- and moderate-income residents. 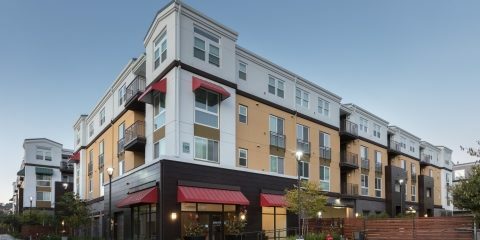 Buildings with rental-apartment flats are certified as LEED-Silver under the U.S. Green Building Council’s Leadership in Energy and Environmental Design (LEED) Building Design + Construction rating system. 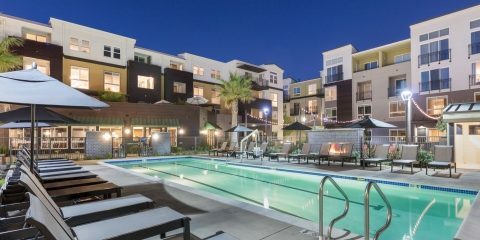 Each three-story town-home unit is certified as LEED-Gold under the U.S. Green Building Council’s Leadership in Energy and Environmental Design (LEED) for Homes rating system.